The state of your air ducts can have a strong impact on the quality of your indoor air as well as on your household's air quality. 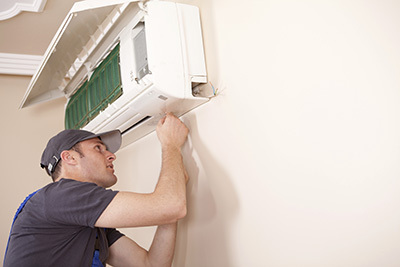 Most HVAC systems work all day long and therefore, the health of homeowners and employees depends exclusively on the regular and thorough HVAC maintenance. Moisture, dust, rubbish or microscopic rocks pass through your ducts every day, especially if these are located in the dark and damp areas of your home, like the attic or basement. Moreover, materials do not last forever, especially if they are old. They tend to absorb other substances and moisture, which create the perfect environment for mold to grow in. Last but not least, the connections that ensure the good sealing of the ducts may corrode and loosen up. This can create leaks through which all harmful particles will have access within the ducts and ultimately within the air you breathe. In order to avoid such unfortunate situations from taking place, the thorough inspection of the ducts is as important as the repair itself. HVAC unit repair is absolutely necessary, as potential cracks and fissures can lead to a continual energy loss and act as an entry door for even more pollutants from the outdoors. If the damage to the ducts is irreparable, it's best to opt for a replacement. Our technicians are perfectly equipped and capable to provide you with the best duct materials and installation services to ensure they are well fitted into your home. 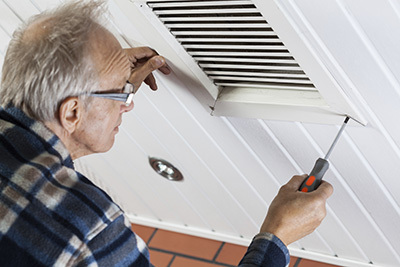 Air ducts need to be properly maintained on a regular basis for the entire HVAC system to be in a good condition. Our team is made up of exceptionally good technicians who are experienced and can handle any potential problems - they have seen it all. They can detect the exact points, where there are cracks in order to proceed with air duct seal repair with quality and durable materials. Otherwise, they can also successfully address air duct replacement procedures and through them ensure the return of high-quality air in your home. Are you encountering problems with your ductwork? Cracks, fissures and leakages? It might be time to opt for some repair or even replacement services to ensure a high indoor air quality and avoid potential health hazards. Give our team at Air Duct Cleaning Palo Alto a ring and our technicians will take care of the rest.